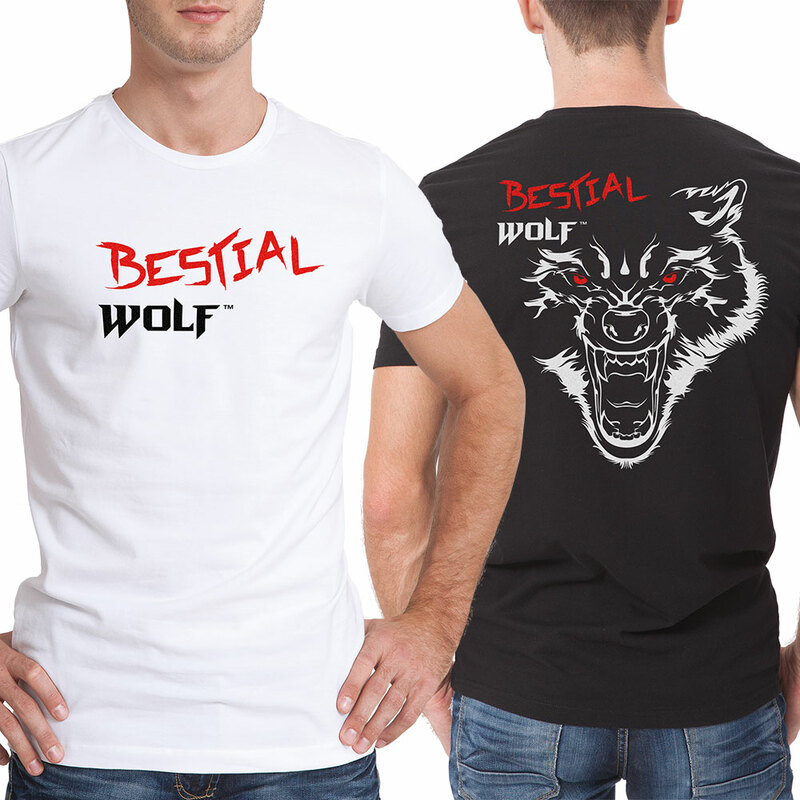 Merchandising material of Bestial Wolf. 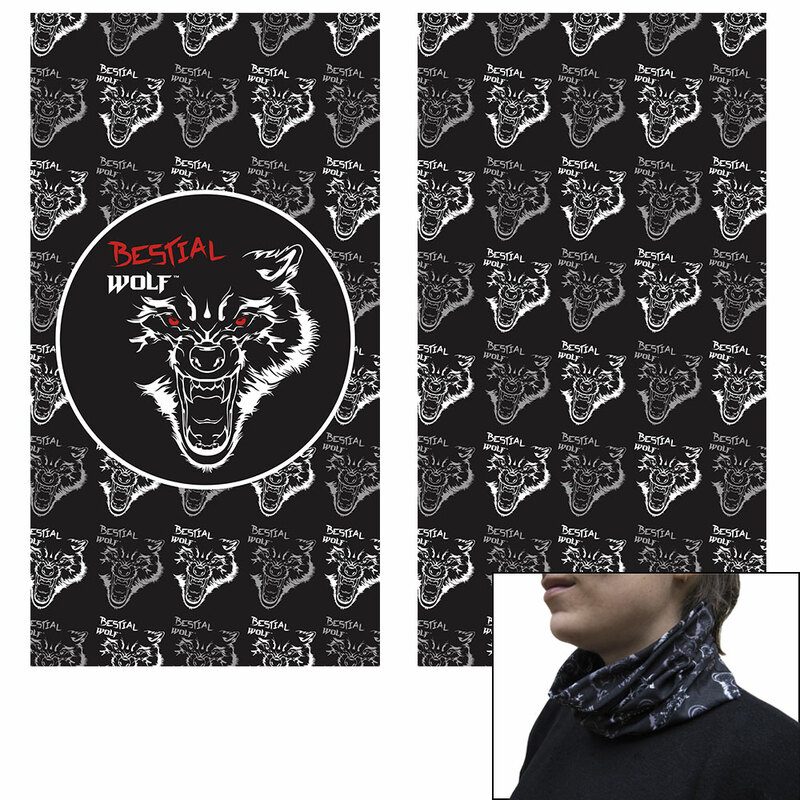 wolf11 / wolf14 Bestial Wolf original neck warmer, made of breathable polyester, allows sweat absorption. This material ensures protection in the severest weather conditions. 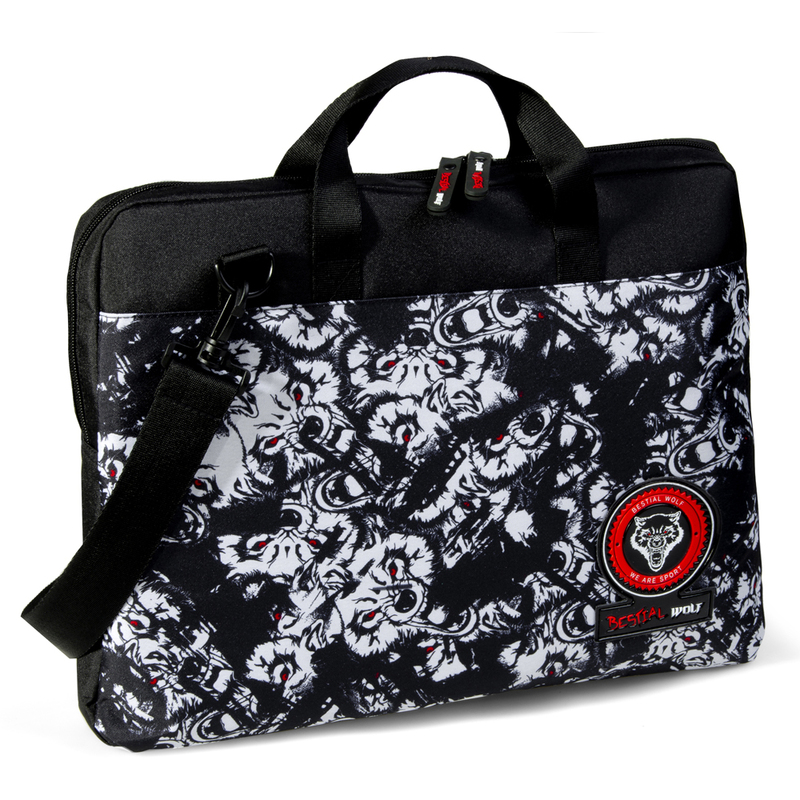 Screen printed with Bestial Wolf motif. impac Official t-Shirt, customized with the logo and the brand's iconic wolf. 100% cotton fabric. cap5bestial / scoot6n Bestial Wolf Official cap, made of five panels and flat visor. 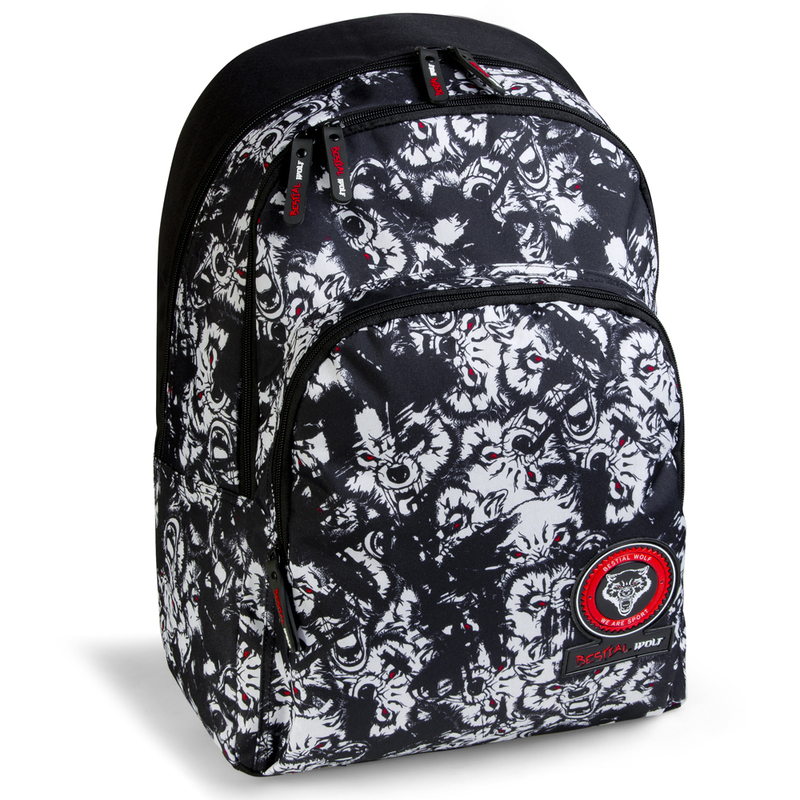 Embroidery Bestial Wolf logo included. 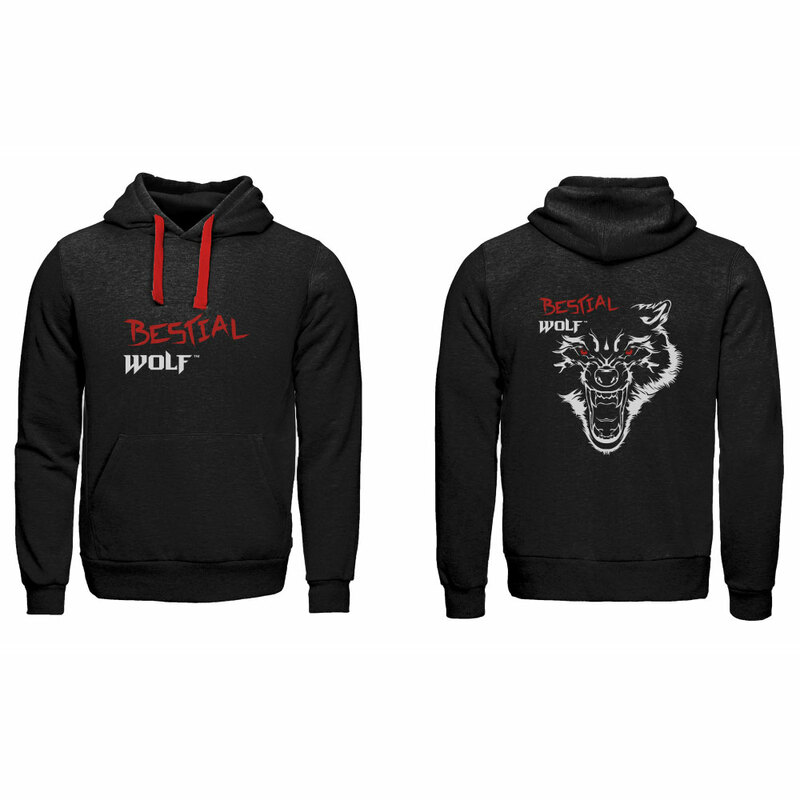 chopper Bestial Wolf Official hoodies, customized with the logo and the brand's iconic wolf. 100% cotton fabric. 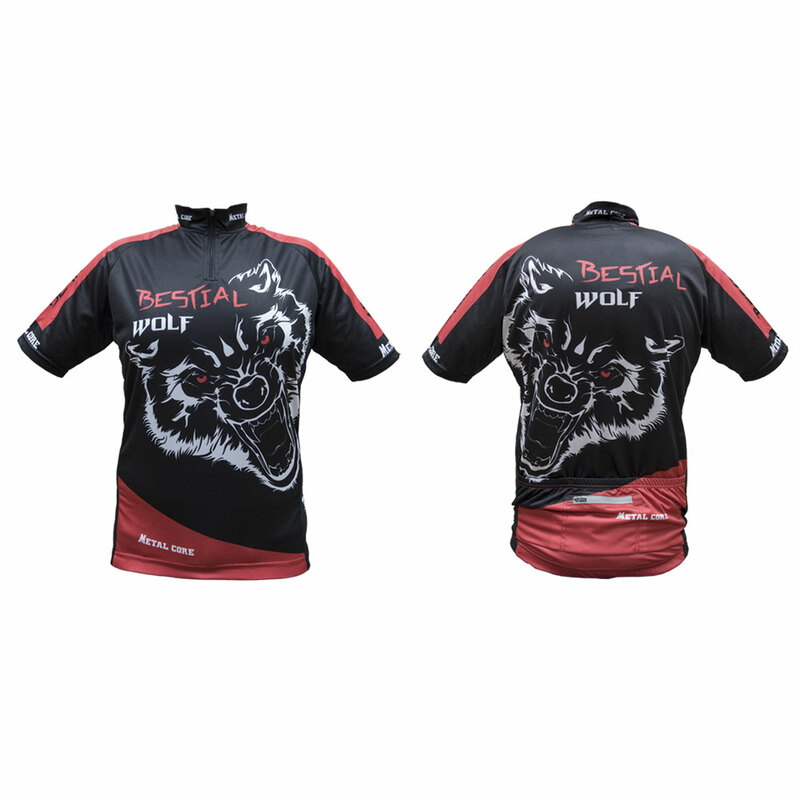 epic Bestial Wolf official cycling jersey, made with fabric resistant to extreme use. 100% polyester. 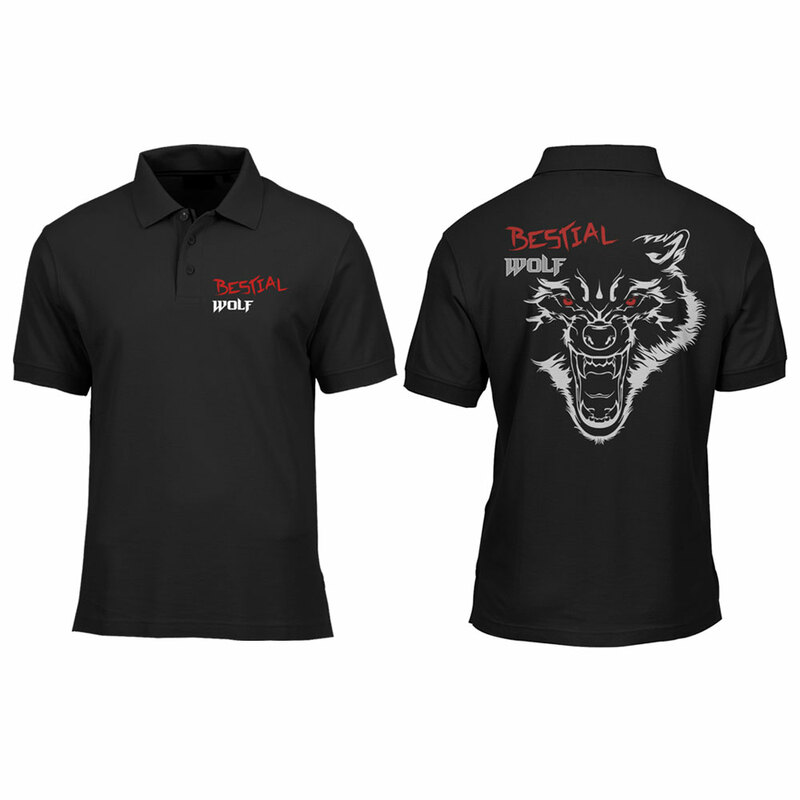 polo Bestial Wolf original Polo, 100% cotton. 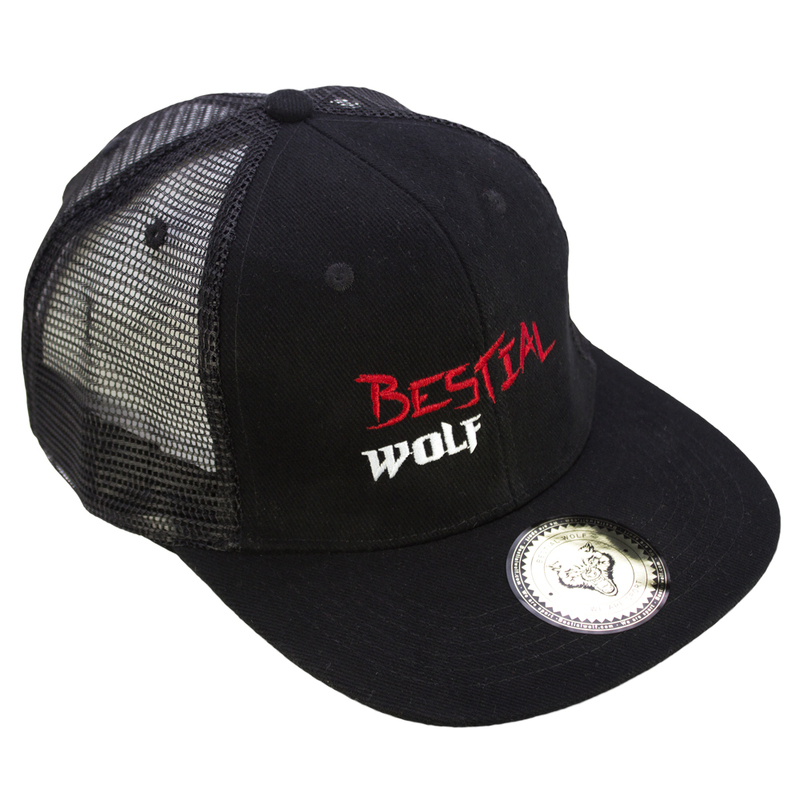 Wolf and Bestial Wolf logo included. 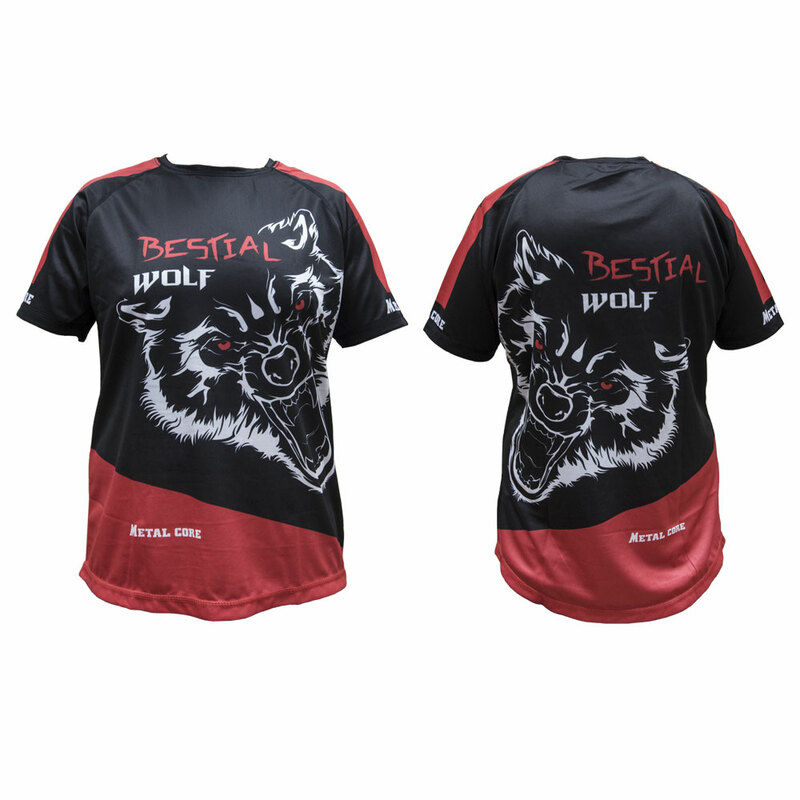 speedy Bestial Wolf official running t-shirt, made with fabric resistant to extreme use. 100% polyester. 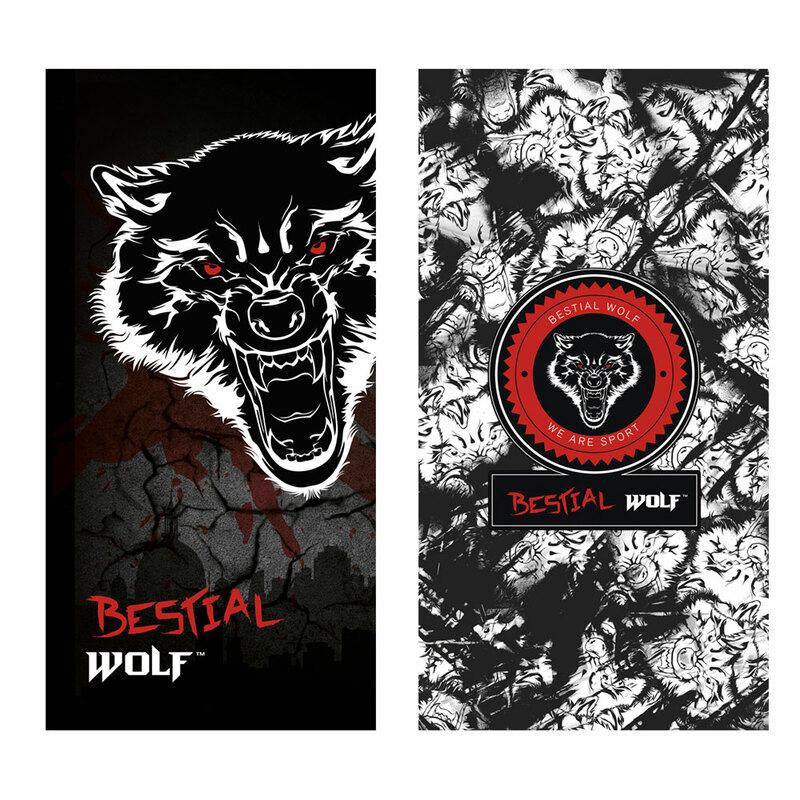 towel10 / towel12 Bestial Wolf Official towel, made with fabric suitable for using it on swimming pools and beaches. Medium and big size. napoleon Bestial Wolf official cycling bib of synthetic fiber for cyclists. Available in several sizes. 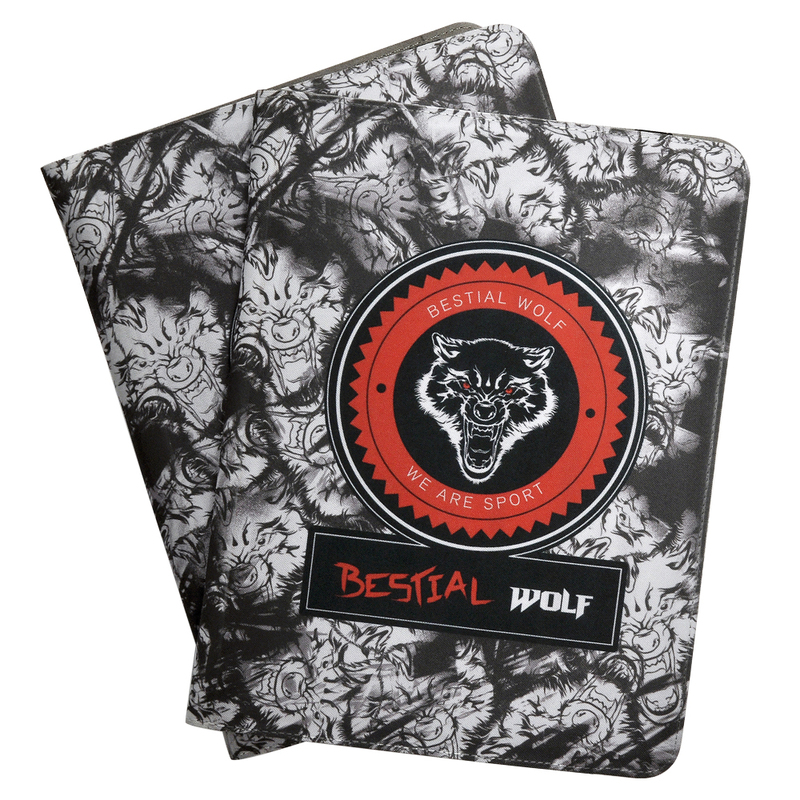 west Bestial Wolf official open zipper vest for cyclists and rear zippered pocket. Available in several sizes.